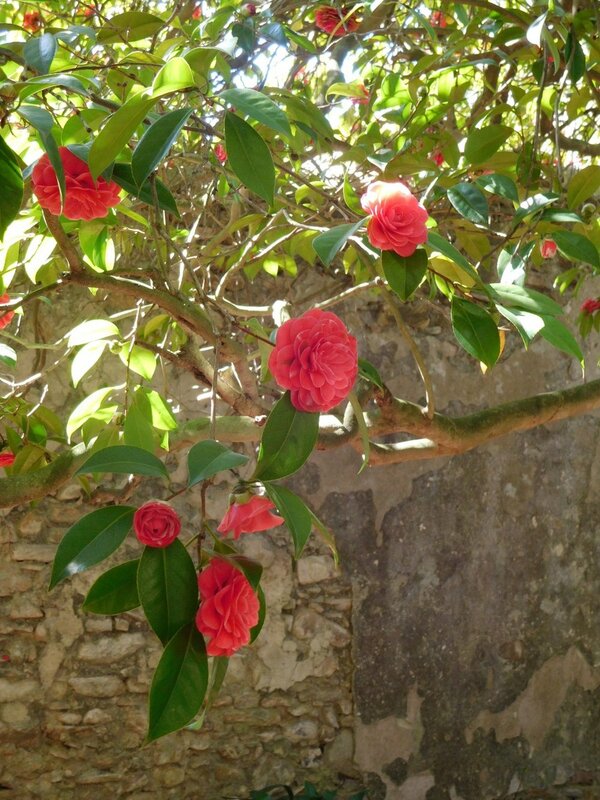 The camellia (camelia in Italian) is a prized flower in the area of Tuscany around Lucca. 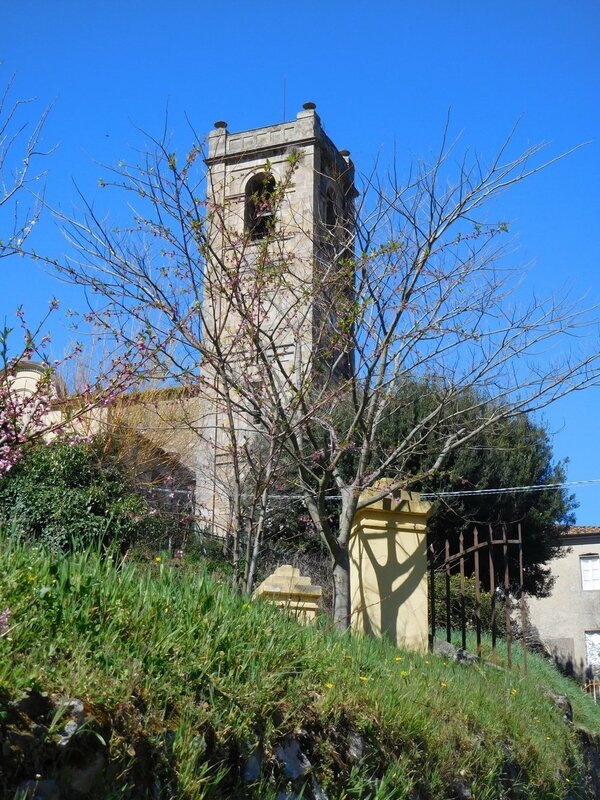 So much so that each spring there is an annual camellia festival that takes place in some of the villas in the countryside around Lucca and in the small town of Sant’Andrea di Compito. I was able to visit Sant”Andrea during the festival in 2018 and was enchanted by the town, the festival, and those lovely flowers. 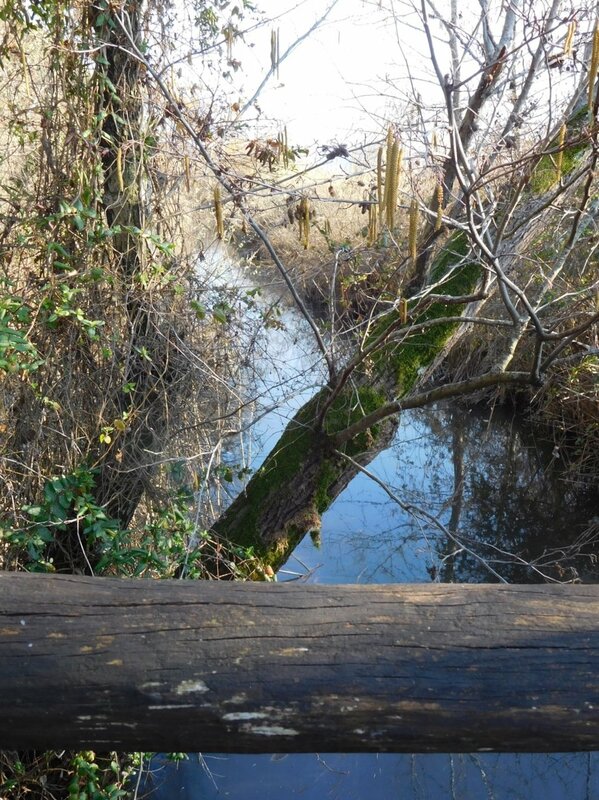 My memories were so wonderful that I was looking forward to making a return visit this spring. 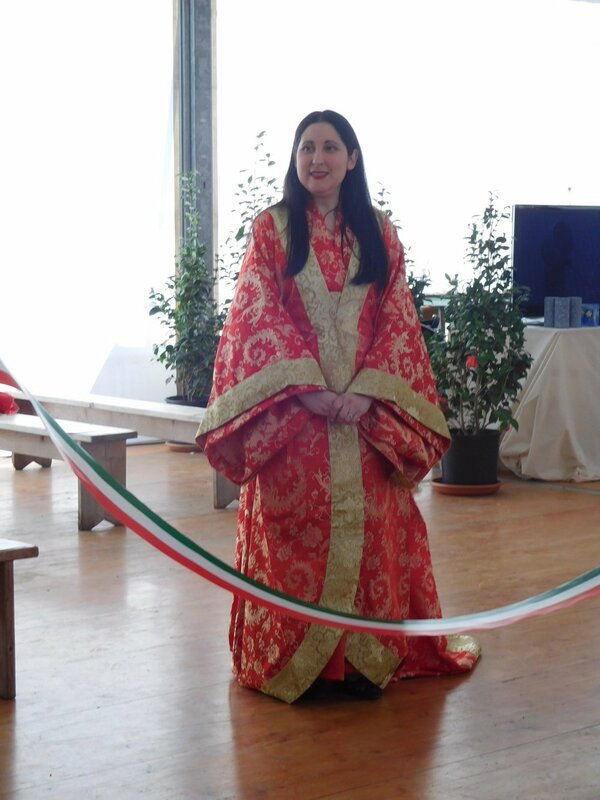 This year the Antiche Camelie della Lucchesia festival marked its 30th anniversary with a special celebration that combined the beauty of the flowers (scientific name Camellia Japonica) with an exhibit reflecting the Japanese culture from which the flowers get their name and from where they were originally imported to Italy. The focus of the Japanese exhibit was on tea - growing, processing, and serving. The connection with tea is that a species of camellia (scientific name Camellia Sinensis) provides the leaves used in making tea. Along with the many beautiful flowering camillias, there is also a garden in Sant’Andrea where the tea plants are grown. Tea plants are raised in the Antica Chiusa Borrini, a large walled garden in Sant’Andrea di Compito. 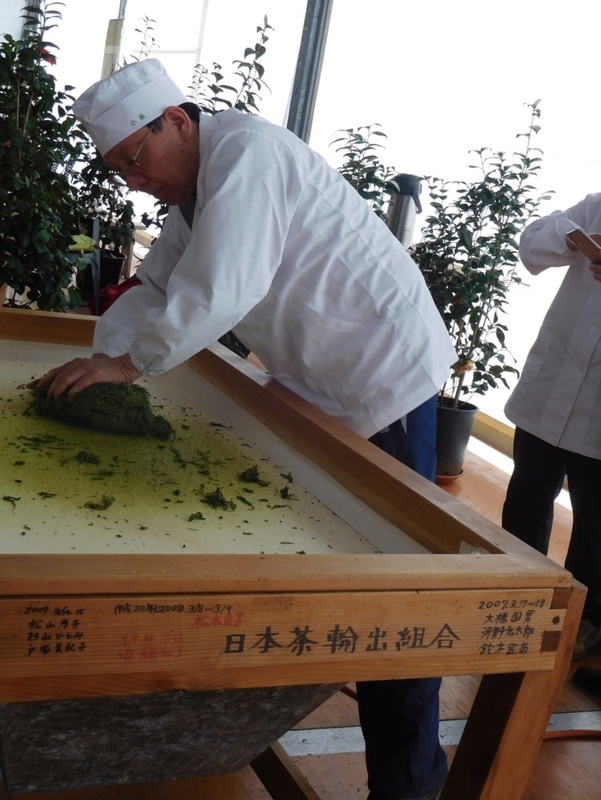 The Japanese exhibit included a demonstration of the antique method of processing tea leaves by hand - a labor-intensive process that involves kneading the fresh green leaves over a heated surface to elongate and dry the leaves. The process takes five hours. There were also tea tastings (delicious!) and displays of Japanese tea accoutrements including tea pots, whisks, and cups, as well as a market selling a variety of Japanese items. Of course there was also the traditional annual display of camellia blossoms, a plant market, and artisan stands. 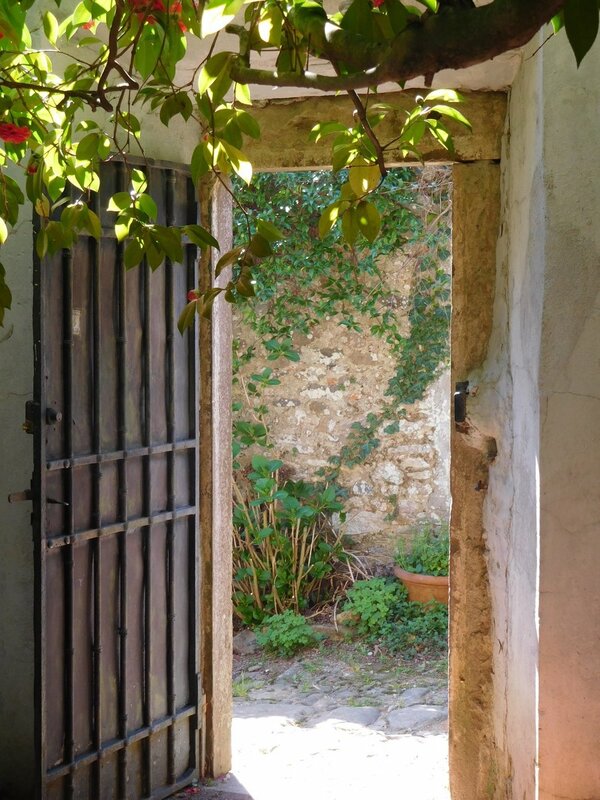 After visiting the market we strolled through town, admiring the beautiful houses, villas, stone walls and gardens - with the camellia as the star among flowering forsythia bushes, fruit trees, and wildflowers. Now that I’m living in Italy, I feel some pressure to improve my Italian language skills. I try to do all of my “business” (shopping, setting up a phone contract, arranging shipping, etc.) in Italian and, thanks to some very, very patient locals, I am mostly successful. I am also taking a weekly semi-private lesson (with my friend Claire) at the wonderful Lucca Italian School (also known as LIS). I have a fabulous teacher in Antonella, who patiently explains (as many times as I need) the use of the passato prossimo versus the imperfetto past tenses, prepositions (oh - the horror of Italian prepositions), and - heaven help me - the use of the congiuntivo. Grazie Antonella and LIS! Two recent attempts at translation brought unexpected results. First, I went into a home goods store to buy a muffin pan. I couldn’t for the life of me figure out the word for muffin pan and I had forgotten to look it up before leaving home. I found the pan high on a shelf and asked the man working there to please reach it for me. As he handed it to me, I asked, “Come si chiama questo tipo di teglia in Italiano” (what do you call this type of baking pan in Italian)? With a quite serious look on his face he answered me -”si chiama teglia di “muffin.” Muffin, no translation needed. We both got a good laugh over that one! The pink variety is a visual treat. 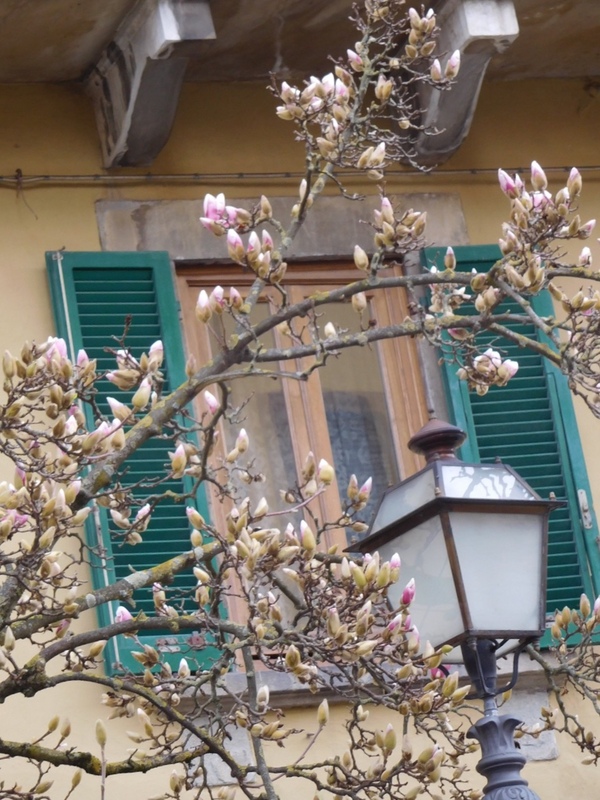 Walking through town I noticed beautiful magnolia trees just beginning to bloom along Corso Garibaldi. Pulling out my dictionary, I looked for a translation for magnolia tree. I know that a hydrangea is an ortensia and a wisteria is a glicine, so surely there should be an Italian word for a magnolia, right? 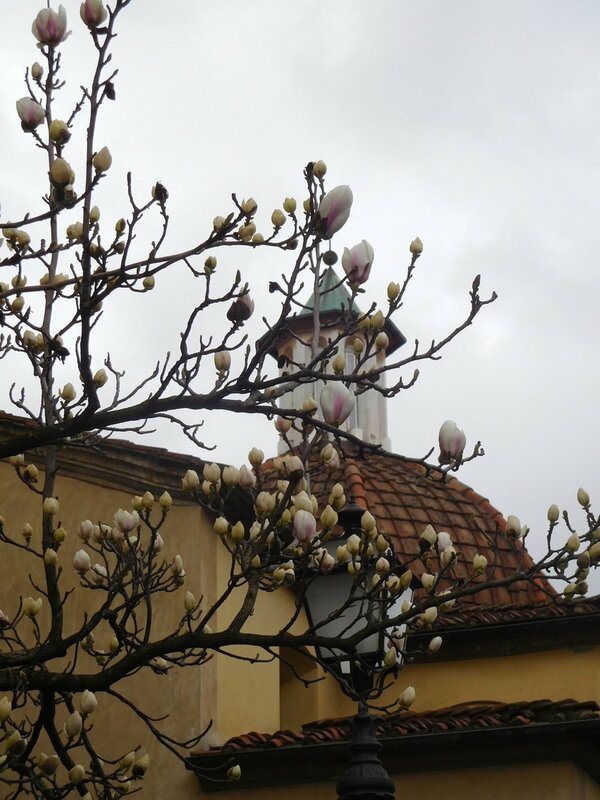 It turns out that in Italy, a magnolia is, well, a magnolia (named for a French botanist). 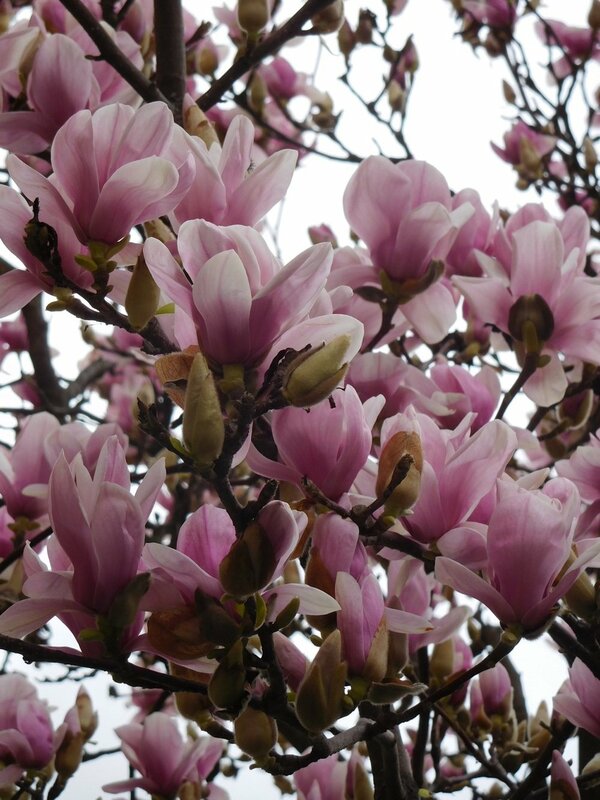 And, although I associate them with the American South, magnolias are actually common in Italy, often growing into huge trees. In March, they light up Lucca with their beautiful white and pink blossoms. Florence is an intriguing city, full of wonderful things to see, hear, touch, experience, and taste. It is also a city bursting at the seams with tourists, which means it is chaotic, crowded, and sometimes frustrating. And yet, it’s a city I love and never tire of visiting. It’s also a city where it’s possible to find great food – just visit a neighborhood market with its array of fresh produce, meats, cheeses, breads, and pastas and you’ll see ingredients that make your mouth water. With fresh ingredients like these (from the Sant’Ambrogio Market) it’s no wonder that Florence is a great city for dining. The good food continues in the many fine restaurants. But, as is often the case in places popular with tourists, there are some restaurants that don’t live up to Tuscany’s reputation for good food. In Florence, these are often the larger restaurants found in areas most frequented by visitors. 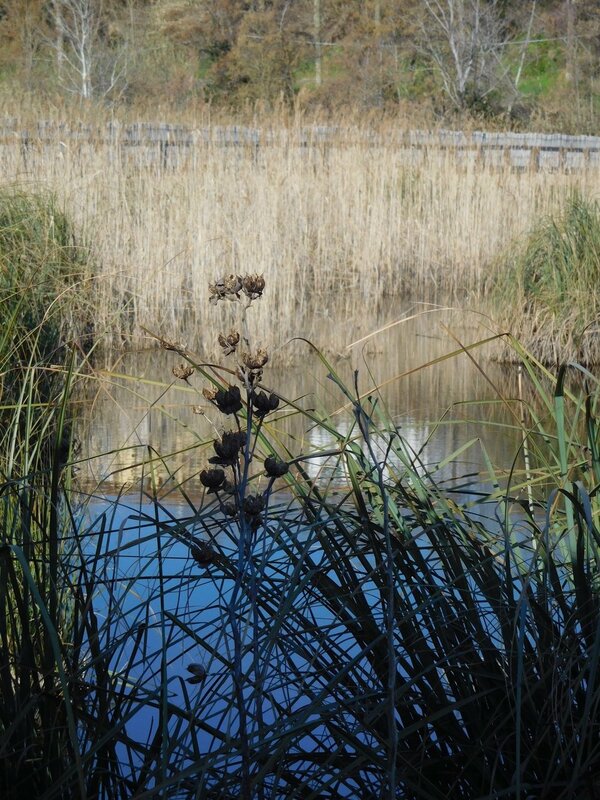 I recently ate in one of these when I found myself tired, hungry for lunch, and in need of a quick escape from some wet and windy weather. I ducked into a place that I should have known to avoid – wait staff out front pulling in customers, located on a busy, touristy piazza, full of people speaking languages other than Italian. What was I thinking? I ordered a classic Tuscan soup - ribollita. It’s hard to mess up this vegetable soup thickened with chunks of bread. Hard, but not impossible as it turns out. The veggies and the consistency were right but this dish was over salted. I needed lots of water to balance out the saltiness. An eggplant dish was no better – heavy on cheese and overcooked. I had only bottled water to drink, no coffee or dessert. The tab was a hefty €32.50. Ouch! This was an expensive and poorly prepared lunch. Coquinarius is an enoteca with wonderful ambiance, delicious food, and a great wine list. I simply could not let my trip to Florence end with a memory of bad food, so the next day I had lunch at one of my favorite spots - Coquinarius, an enoteca just a bit off Piazza del Duomo on Via delle Oche. I had eaten here on a previous trip and enjoyed it immensely. Would it be as good as I remembered? The answer was a definite yes! At Coquinarius I dined sumptuously in a lively and congenial atmosphere. This meal included a glass of wine (a tasty Vernaccia from San Gimignano), bottled water, an appetizer of crostini (toasted bread) with stracchino (a soft cow milk cheese) and salsiccia (sausage) all melty and crisp, a to-die-for pasta filled with pecorino and pear, an apple tart for dessert and a macchiato. Delicious food and a great value too (just 2 euro more than my not-so-good lunch the day before). Not to mention the friendly service, mix of locals and visitors, great music, Italian chatter in the background, and a vibe that made me want to linger - which explains why I stayed for dessert and then a coffee, stretching my lunch to nearly two hours. Burlamacco, the offical symbol of Carnevale since 1931. He is based on several figures from the Comedia dell’Arte and his red and white colors reflect the beach umbrellas of Viareggio. In Italy, you just about have time to catch your breath after the festivities of the new year and Epiphany when you begin to see signs that Carnevale - the raucous month-long celebration that precedes the beginning of Lent - is upon you. The dates vary depending on when Lent begins. This year March 6 is the first day of Lent, so the Carnevale celebrations occur from late February to March 5 (Fat Tuesday). And what celebrations they are! Colorful, noisy, fun - Carnevale is the ultimate late winter party. In Italy, the largest and most famous Carnevale celebrations are in Venice and Viareggio, though many other towns also have impressive Carnevale events. Each city’s celebration has a unique character. In Viareggio, the parade floats are known for political and social themes, making great use of satire and allegory to express current issues and, perhaps, rattle a few cages. Recognize any of these Italian politicans? The Carnevale parade in Viareggio occurs on five days - one day each weekend for the four weeks preceding Lent and the final parade on Fat Tuesday. Viareggio is not far from Lucca (about 25 minutes by car and 40 by bus) so it was the perfect place to experience my first Carnevale celebration. And the fact that the parade route covers a 1.25-mile stretch along Viareggio’s famous seaside promenade was an added bonus. The Siren - with her false mask - luring us all into perilous waters. The parade kicked off with an announcement of “Buon Carnevale,” a brass band complete with baton twirlers, and lots of excitement from the crowd. What followed was a feast for the eyes - huge, colorful, animated paper mache creations that moved along the parade circuit accompanied by performers and often smoke, glitter, pyrotechnics, and music. There was colorful confetti - lots of confetti - sold by the bagful to spectators who flung it all about. Not to worry - in the name of environmental awareness, this was a plastic-free event and all the confetti recyclable paper. The floats, chosen based on sketches submitted in advance, expressed current parade themes (this year celebrated women) and relevant social issues. Below are three of the sketches that were chosen and became floats in this year’s parade. You can see the the Italians find the current U.S. president to be a good subject for politically themed entries. This year’s entries addressed themes of bullying, environmental pollution, and migration, as well as Italian and American politics. Other floats and performers represented the classical Carnevale theme of clowns and comedia dell’arte figures. In addition to the large floats, which take a small army of handlers to animate, there are many smaller “one-man” creations that join the parade. Parade spectators are part of the show as many dress in colorful wigs, as clowns, or in other costumes. The celebration is family friendly and some of the best costumes are worn by the children or entire families. Spectators can sit in grandstands to watch the parade but many simply stand along the parade route and are free to join in the procession. The atmosphere is vivacious and noisy and crowded but also very safe. I loved every minute.